15 pages of no prep word comprehension sheets. 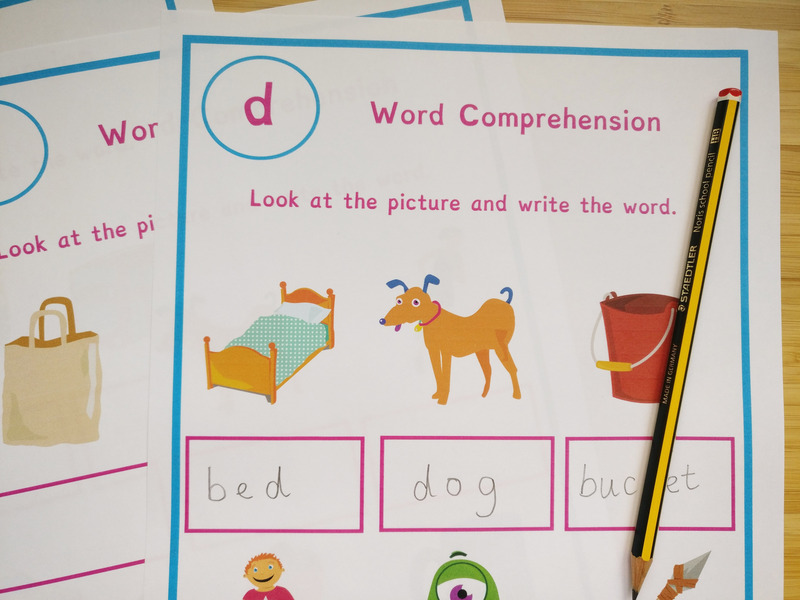 Our Phonics Missing Word Worksheets work through simple letters sounds, two letter digraphs and three letter trigraphs. They cover phases 2-5 of letters and sounds. 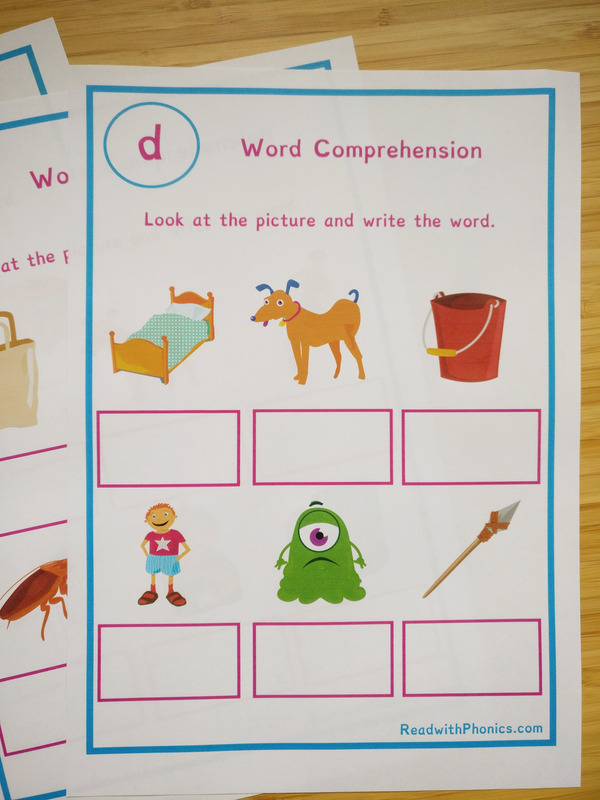 15 pages covering simple letter sounds to trickier three letter sounds. Each page has more than 4 pictures and box to write the word. 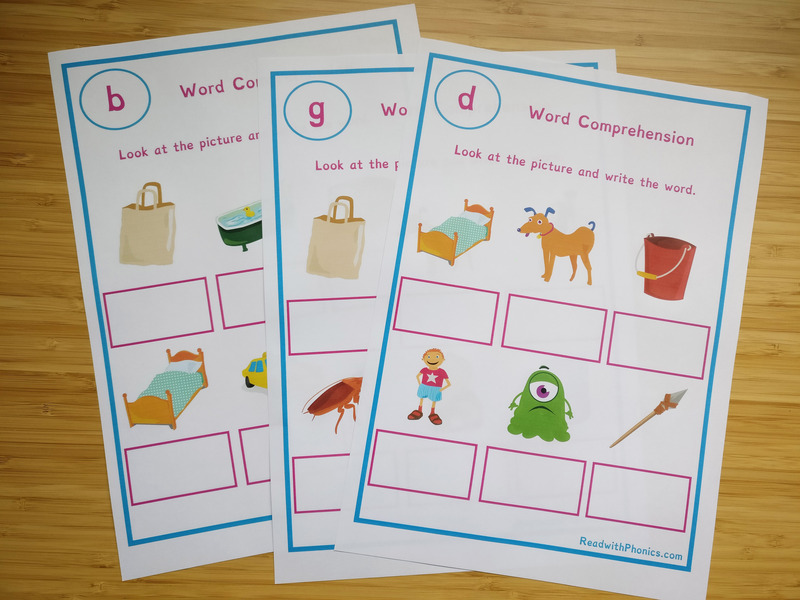 I use my missing word worksheets during a lesson, after I have introduced our target sound, I use them to reinforce learning and word picture recognition.